The midwife was an employee for an Ann Arbor-based midwifery that describes itself as taking a “holistic” approach to mother and baby care. They also provide services before, during, and after birth. This includes prenatal visits, 24-hour access to a midwife, and follow-up care. They also provide resources for proper nutrition and exercise. However, they do not appear to provide medical services pertaining to more high-risk births. The attorney said that this situation highlights problems with home deliveries. He feels that midwives provide false reassurance than expectant mothers do not need medical services. Midwives give mothers the impression that they do not need to give birth to a child in the hospital. The attorney expresses significant concern towards the overall midwife profession. He notes that midwives do not have the medical knowledge and insight to provide consultation for mothers or help them make decisions that are a matter of life and death. This case highlights the fact that midwives may not have the right training to handle high-risk births like an OB/GYN. Midwives are health care professionals who provide specialized care for women, specifically their reproductive health. They offer many different kinds of services including gynecological examinations, contraceptive counseling, prescriptions, and delivery care. Midwives are best known for providing care before, during, and after labor and delivery. The services that midwives provide may vary from state to state, as they each have different regulations that determine the kinds of credentials they have. There are five different types of midwives, each of them with different credentials and experiences. They are certified nurse-midwives (CNM), certified midwives (CM), certified professional midwives (CPM), direct-entry midwives (DEM), and lay midwives. Certified nurse-midwives are licensed professionals trained in both nursing and midwifery. They are also required to have a bachelor’s degree. A certified midwife is trained in midwifery only. Like CNMs, CMs are also required to have at least a bachelor’s as well. The American College of Nurse-Midwives certifies both CNMs and CMs. A certified professional midwife is one who meets North American Registry of Midwives standards. To become a CPM, one must have several education backgrounds. A direct-entry midwife is one who has trained to become a midwife through different experiences. They include an apprenticeship, a midwifery school, and a college program. DEMs are not necessarily certified like CNMs, CMs, and CPMs. A lay midwife is an individual who has received neither a certification nor a license to be a midwife. However, they have received informal training, such as studying the profession on their own or an apprenticeship. I’ll admit there are some advantages in seeing a midwife. They are more accessible than an OB/GYN and can spend more time with a pregnant woman. Midwives are also trained to have a more casual relationship with patients, which allows for the development of personal relationships it is hard to get with doctors in 2019. This can help put the mother at ease with respect to the pregnancy and birthing process. Midwives are also trained to look for anything out of the ordinary with respect to pregnant women. They can also provide assistance with respect to lifestyle related-issues such as nutrition, exercise, relationships, breastfeeding, and parenting. Some doctors, by contrast, do not spare the time for this touchy-feely stuff and mostly provide assistance on substantive acute medical issues. While midwives might be more convenient for expectant mothers, there are many drawbacks of using them to facilitate the birthing process. Much of these drawbacks are due to the fact that midwives are not qualified to handle high-risk births involving multiple babies or complications. Midwives cannot offer comprehensive tools such as ultrasound or anesthesia. 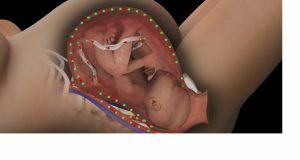 They are also not qualified to deal with high-risk pregnancies or even acute complications that might occur during birth. Mothers experiencing complications from birth must seek emergency care from a physician. Midwives are also not well equipped to deal with multiple births such as twins and triplets. They also struggle to deal with mothers who have previously had a Cesarean section birth, stillbirths, or other pregnancy-related complications. Women with medical conditions such as high blood pressure and diabetes can be too complicated for midwives to handle. I could delete this entire paragraph and just say that a midwife is not an OB/GYN. Because that really is the difference. There are so many risks with childbirth. You want to put your kids in the best hands statistically and that is with an obstetrician. In my opinion, your best bet is to seek out an OB/GYN instead of a midwife. While midwives might be okay for a low-risk birth, you never know what could go wrong. Sometimes, a low-risk birth can turn into high-risk at the blink of an eye. Giving birth at a hospital with an OB/GYN provides easier and quicker access to comprehensive medical care than giving birth at home with a midwife.